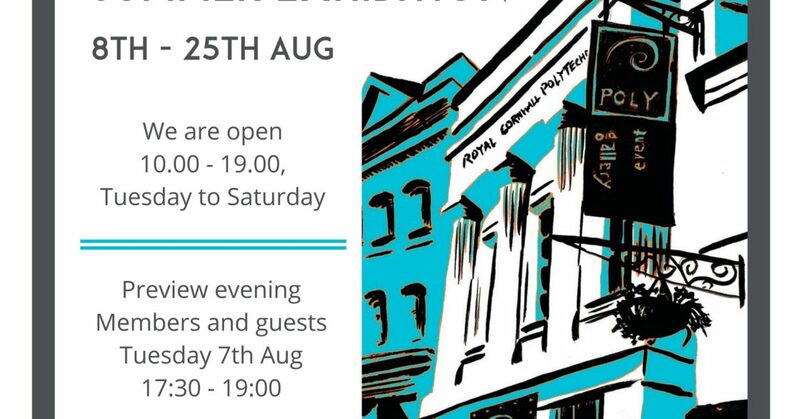 Wednesday 8th August sees the opening of the Members’ Annual Summer Exhibition at the Poly Falmouth which includes work by Krowji tenants Bettina Holland and Susy Ward Ceramics. This exhibition has been running on and off since the building was constructed in 1836.The Members’ Exhibition has always been a very popular show, built up from small beginnings to its heyday of over 60 exhibitors showing 400 paintings in three floors of galleries. This year, paintings, ceramics, jewellery and sculpture will all be exhibited side by side for an eye-catching and diverse display of local art. For more information visit the Poly website.